Since true performance tires are near impossible to find in 15 in sizes in the US, has anyone tried the Vitour Galaxy R1 tires (oh no, they're not American)? Their 235/60R15 and 275/60R15's are V rated, which is pretty rare. Sadly the 295/50R15's are only H rated, but I'd be willing to sacrifice some meat for the V rating. Last edited by Nick Stevanovski; 02/06/19 06:15 PM. Many are frustrated by the 15" tire availability (or lack thereof), but no need for the dig. I believe Mr. Mickey Thompson can provide what you're looking for. I actually have looked at mickey thompsons stuff, but sadly they only have drag tires and S rated street tires. i also shouldve mentioned im talking about daily driving/90% street driving situations. Actually, most of the Mickey Thompson SR line is H rated. Hoosier Pro Street radials are also wide and H rated, but they also come with proportionally large sidewalls. If 90% street, why the need for V rated? H vs V is the difference between 130 vs 149. Do you plan on spending that 10% near 150 mph for ten minutes at a time? I was looking at the Sportsman S/R's, but can't seem to find how long they lasted for everyone, so I guess another question is being added. (mainly to help others in the same dilemma) How long have your guys' S/R's lasted on the street? Also, how much of a difference is there between H and V+? I obviously wouldn't be spending anything close to 10% of my driving at 150 mph, but if/when my car is done I'm gonna want to see how fast it is. Doesn't mean I'm gonna weave through traffic at 160 (before I get hated on as if everyone else goes 60 max lol). I spoke directly with MT about their SR line. They said the feedback they are getting on mileage is ranging from 18k to 24k. It also is a new carcass that was designed for 17" and 18" rim sizes that they down sized to meet 15" demand. They also said they do not use the UTQG rating guide for the SR line because they are a niche tire that is not a drag tire nor cruising tire, but uses softer compounds than the ST line of pure street tires. Not that it matters much since the UTQG is only relevant to a specific manufacturers product line and is not a universal qualifier, despite what many sanctioning bodies require, and since a majority of MT products are race tires, their whole window of UTQG ratings could be biased compared to others manufacturers. Now, something I have learned since that conversation that I have not gone back to ask about was if MT did a Step Up Speed test at all or if they did an SAE standard test to failure. Doing either of these can provide additional information about where the threshold of speed related failures actually lie since a speed rating is done at rated load, at the target speed, for 10 minutes, then stopped and the tire inspected. Also worth noting, since you mention finding out how fast your car might be, the ECTA allows H rated tires to be used at speeds up to 175 mph on their 1 mile courses. They do not allow dedicated drag racing tires. V, W, Y, and Z ratings are allowed up to 225 mph. After that you are into nascar or LSR spec tires. So to extrapolate that into a one mile run to 150, you are spending about 20 seconds at top speed before you have to start the shut down procedure. That is obviously much less time than the speed rating is tested at, hence the deviation that ECTA allows. If you are going to do autocross, track days, or even high speed events and are sticking with 15" tires, it isn't a stretch to have an extra set of wheels/tires specifically for that. Aero, Bassett, Diamond and others make relatively inexpensive competition wheels in a variety of offsets, finishes, and colors. Combine that with correct lug nuts, an A6 or R6 Hoosier or a Goodyear oval track tire if you want to hit some top speed events, and you can have mix and match sets capable of a variety of tasks that probably exceed the capability of your vehicle, your nerves, and can be changed out in 15 minutes at the track. Good info, TC. I think a Treadwear Rating of 200 is a cutoff point for some sanctioning bodies - to separate "street" tires from "race" tires, right? (before I get hated on as if everyone else goes 60 max lol). You go 60 around here and you will get run over, the speed limit is 80. Last edited by Jim_Lusk; 02/08/19 12:20 AM. Correct, but because of the way the rating is achieved, it can be manipulated to a degree, which is why the "hot" 200TW tire for use in those competitions changes each time a new tire is released. Exactly. Perhaps even an understatement. There are some sub-200 treadwear tires that will last longer than the competion oriented "extreme performance summer tires" with 200 TW. I actually ended up finding H rated tires that go up to 295/50R15, the Maxxis Marauder MA-S1. I was just wondering if anyone has used these and if they have any feedback. From the pictures the tread looks pretty good, almost between something like the BFGs and a directional performance tire. If you have access to the Marauders, yes, they are another H rated tire. They are not widely distributed, so not everyone can find them from a local distributor. They have a 360 UTQG code so they are harder than the MT SR and you'll get more mileage out of them. They also are an LT rated tire, so they will have a higher load rating as well. 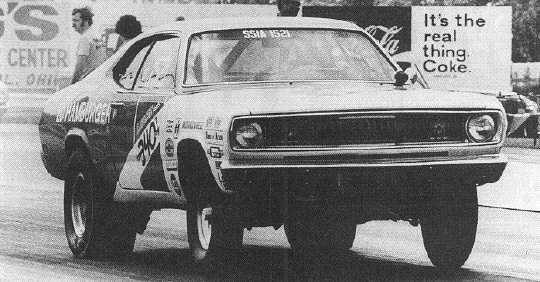 I think member BoydsDodge has used the MA-S1 tires before, but I'm not positive. Their tread reminds me of the Goodyear Gatorback from the '80s. The Hoosier Pro Street tread is almost identical to the Goodyear as well. I've got the SRs under my Challenger but don't have any miles on them yet. I'm running 26x10 in the front and 26x12 in the rear. This would equate to a 255/50 and 305/45 in metric terms. Found their sizing to be spot on. Compound is fairly soft and it has left tread prints on my garage floor on occasion. I have run the Maxxis Marauder tires and I would do it again if they were available. I have tried to find a distributor but quotes are high because they says special order. oh well, first set were good.